2. Walter Theodor (Theo) RUPPEL was born on 29 Jun 1914 in Darmstadt, Germany. He was a teacher ("Lehrer") in Raubach, Odenwald, Germany. He taught in a one-room schoolhouse, teaching a total of 13 children. He died on 13 May 1942 in Novorosisk, USSR. He was shot down over the Black Sea, flying at a height of only 200 meters. 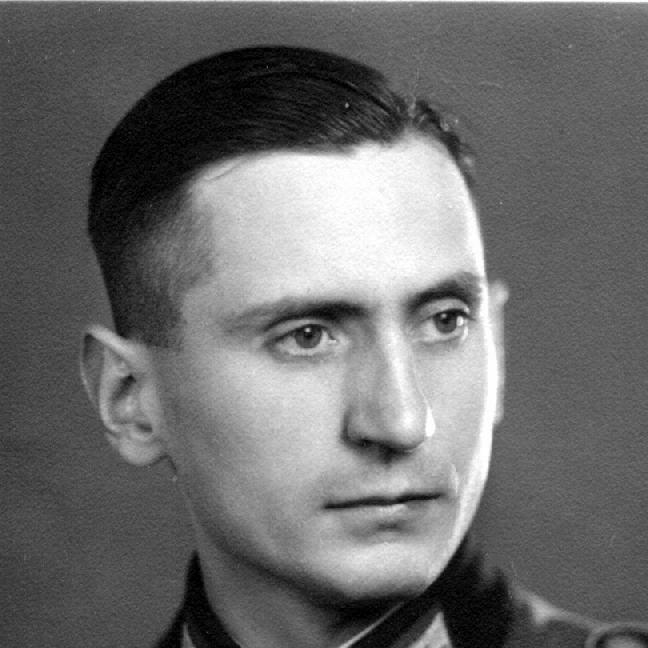 He a pilot of an unarmed Luftwaffe reconnaissance plane shot down over the Black Sea on 13 May 1942. Walter Theodor (Theo) RUPPEL and Anneliese Ernestine Marta Margarete STEINHAUER were married on 16 Aug 1939 in Frankfurt am Main, Germany. Marriage took place in the Frankfurter Römer (city hall). The church wedding was on 2 September 1939 in the Christuskirche, Frankfurt-am-Main.. The reason for the August civil wedding was to qualify for a teaching job. i. Heide Elisabeth Margret RUPPEL.